7 Best Travel Destinations in Europe that I want to visit in 2016! Home /7 Best Travel Destinations in Europe that I want to visit in 2016! Back in 2013, I was very blessed to have given a chance to explore and visit the famous tourist spots in United Kingdom for 30 days. We basically drove all over the UK and even extended our tour to Ireland. That was one of the happiest moments of my life! This 2016, another blessing arrived and again I have been invited by friends and families to visit the UK and in addition to that, we are going to go on a European tour! Crossing thumbs it pushes through! Why visit Europe? Coming from Asia, there are definitely countless reasons why you have to tour Europe. A trip to these European countries opens explorers to various nations, dialects, societies and differing history, breathtaking views and food. In addition to that, travelers won’t get bothered with all those border stops. An agreement enables travelers to cross borders just by using one passport stamp ( Schengen visa ) upon arrival and one during departure from Europe. You can easily get through one place to another. During this coming trip, we are going to fly from Manila to London and from there, we are going to be using a campervan to tour the other beautiful countries of Europe! If you think that UK is compose solely of huge building and infrastructures, then you definitely need to see their breathtaking landscapes, of all sorts of variety. With the combined forces of nature, this relatively small country came up with the most amazing landscapes you could ever think of. You can enjoy more of this place if you’re into all sorts of water. You can simply sit by the canal side and enjoy watching boats goes by. After that, you can simply roam the area just by renting a bike. 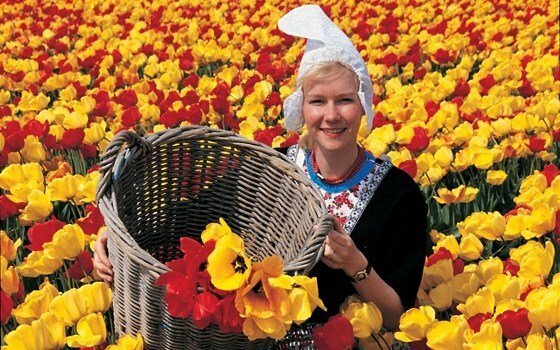 Escape to nature and enjoy their delicious cuisines I hope to see tulips when I visit! If you’re into festivals and all other parties and events, Germany is the place to be. They have Carnival Season, Berlin Film Festival, Oktoberfest, Bachfest Leipzig, Frankfurt Book Fair, Wagner Festival in Bayreuth, and Festival Mediaval. Aside from that, find beautiful structures, landscapes and great food! Want to see some castles? Austria has a bundle of them. Castle Hohenwerfen is a must see. The delightful urban life is surrounded by mountains and beautiful nature. Famous people like Mozart, Arnold Schwarzenegger, Franz Schubert and Johann Strauss were also born in Austria. Their desserts, Sachertorte and Apfelstrudel are definitely worth a try. Italy is considered to be one of the finest tourist destinations in Europe. By exploring this place, you’ll get to see beautiful canals, trendy fashion, breathtaking landscapes, art treasure and their traditional food. Burano, Faraglioni Capri, Isola Bella, Italian Coastal Town, Manarola, Positano, Rome, Venice and the Luxury Villa located at Lake Como are the most popular tourist spots in Italy. Switzerland is famous for outdoor activities like skiing and snowboarding. But then there’s a lot more to do in this gorgeous place. Matherhorn is the famous symbol of Switzerland, take a tour of this legendary mountain by riding the Gornergrat railway. Mountain adventures made extra fun when you’re in Switzerland. If you want to experience nature at its best, you can stay in a hayloft. Kids will have this once in a lifetime experience of cuddling some cute animals. Experience rural and urban life in Switzerland, a rare experience you’ll reminisce over for life. Paris, the City of Lights, is attracting millions of tourists every year. The legendary Eiffel Tower is one good reason why you should visit this place. Paris Disneyland is also a must see destination. Your holiday getaway in France wouldn’t be complete without experiencing their food and wine.